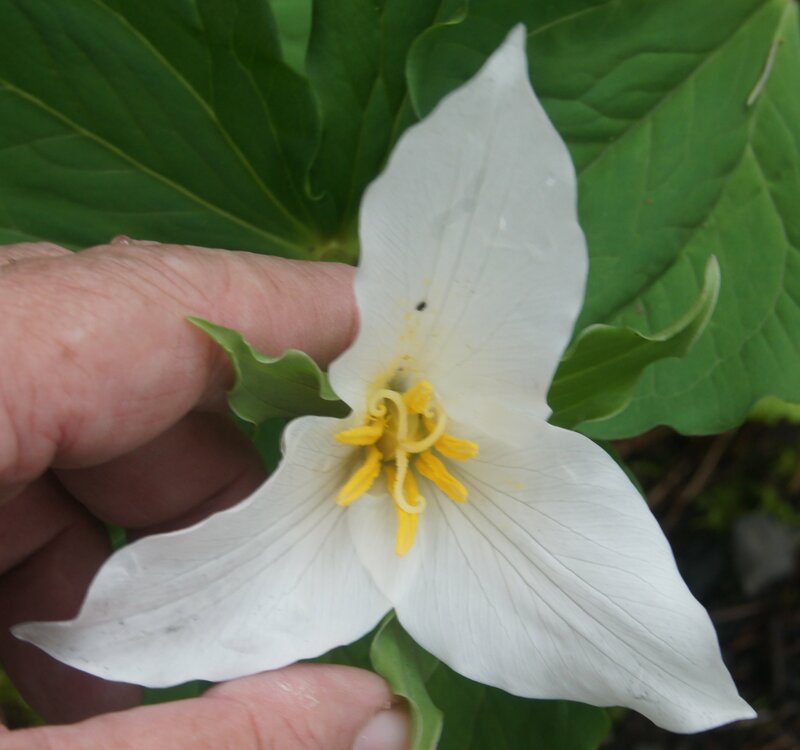 The Giant White Wakerobin (Trillium albidum J.D. Freeman) is member of the Melanthiaceae (Bunchflower Family) that is endemic to a limited area of Washington, Oregon, and Northern California. 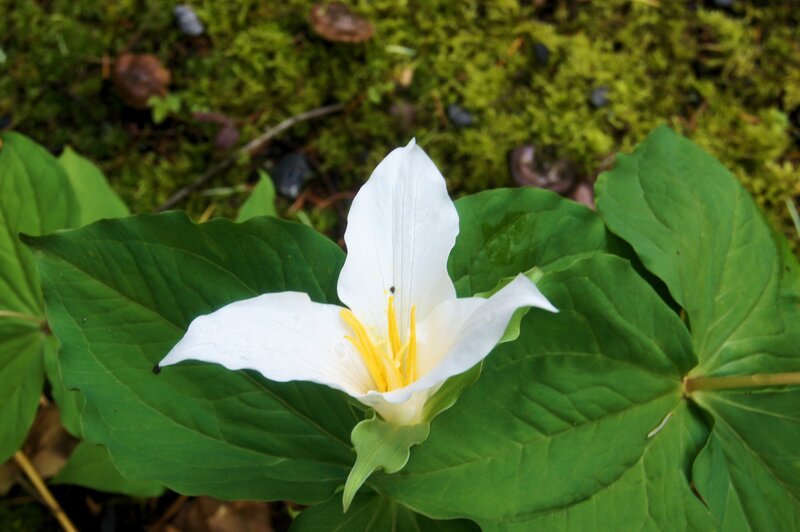 It is found in mixed wood and coniferous forests at elevations up to 6,000 feet. The plants occur singly or in large clumps and are between 8 and 28 inches tall. The stems are bare except for three 5 to 6-inch long leaves near the top, and are green with some light mottling in brown. 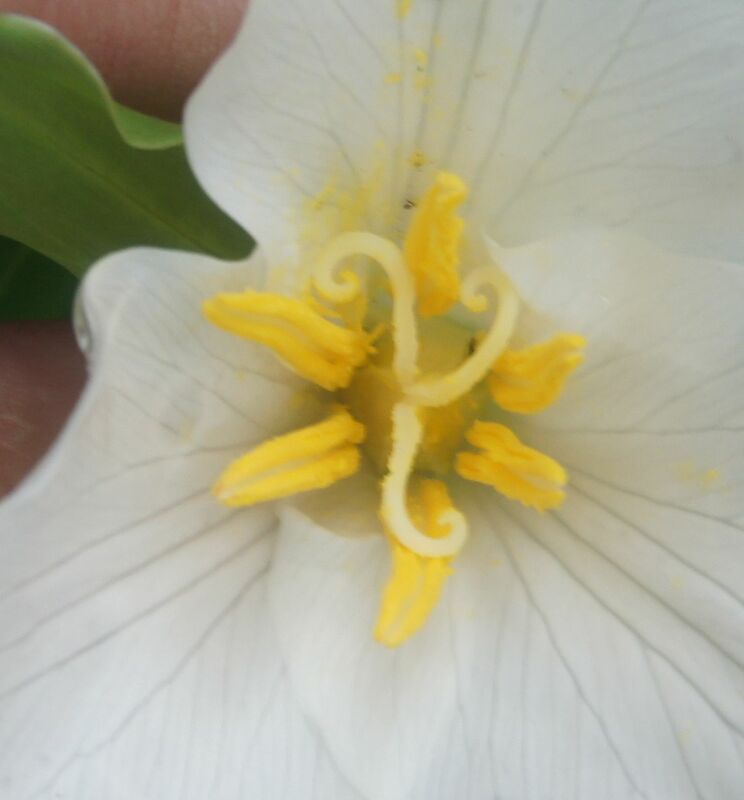 A single flower grows on the top of the stem. 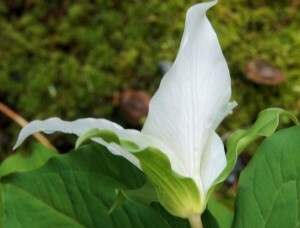 The petals are a creamish white in color and are 2 to 4 inches long. The green sepals are 1 to 3 inches long. These photos were taken at the Bellevue Botanical Garden in Bellevue, Washington. Very cool pictures! It amazes me how detailed your photos are of your plants…..